The 21st century is a period where connectivity is the main technological idea. People and “things”, as well as “things” and “things”, can connect easily without obstacles and this is the main plot of the IoT ecosystem, which is currently being expanded globally. The driving force of the IoT ecosystem is the operating system of devices and it is consistently evolving. 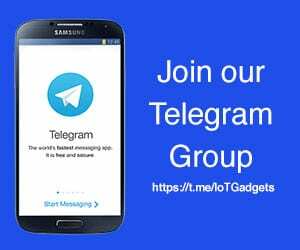 Tizen is an open source, Linux-based Operating System (OS), that is compatible with numerous devices such as smartphones, wearable, smartwatches, TV and IVI devices. Tizen is an advanced OS that is further strengthening its IoT ecosystem. 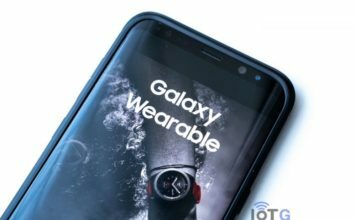 Samsung released the source code and release schedule for the fourth generation of this OS (Tizen 4.0) at the recent Tizen Developer Conference 2017 held in San Francisco on May 17th and 18th. On the last day of the conference, Tizen Milestone 1 (M1) was released. Let’s us delve into its features and functions to see what it has to offer. The expansion of the app ecosystem and the development of a powerful IoT platform is the main aim of Tizen 4.0. Tizen.NET will expand the app ecosystem for Tizen by welcoming new .NET app developers to the community. You can design your apps in Microsoft Visual Studio, as it now has its very own plugin, and make use of the multi-platform UX ‘Xamarin.Forms’. The ‘Microsoft Build 2017’ and ‘Microsoft Build Tour’ were held recently in Seattle, USA, and Seoul, South Korea respectively. Tizen.NET has been reviewed no less than three times and the response/interest was great. Developers were particularly happy for the ease with which C# (a popular programming language) could be used on Tizen. 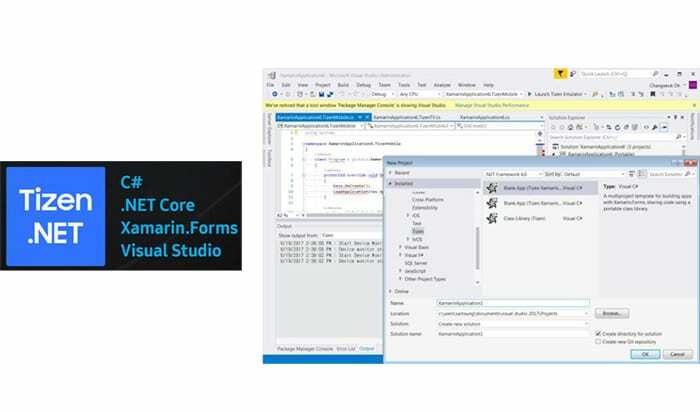 Visual Studio Tools and .NET Core 2.0 for Tizen will be unveiled this fall. This will allow developers to design and operate C# apps. The Tizen 4.0 platform has been redesigned to suit a wide range of devices that are being used in IoT. This is a significant upgrade from Tizen 3.0 which lent itself better to smartphones, TV, and wearable. The current integrated platform is flexible and can be adjusted for numerous devices thus new devices for the IoT era can be efficiently and easily developed. The connectivity produced by IoT system calls for a strong security system because everything is connected and therefore what affects one device could probably affect all. Tizen 4.0 greatly developed its security system. Security checks have been carried out on the entire source code and the quality of exposed functions has been fortified by improving on the community code reviews. The new Tizen 4.0 comes with a ‘Voice Touch API’ that allows you to use your voice to control the app and web browser screen. 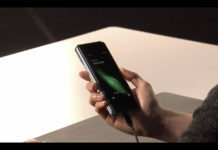 The menu key and screen touch can also control apps and web operations. 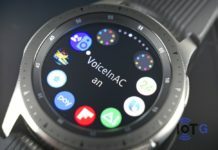 When it is difficult to operate by hand, Tizen 4.0 offers a voice control which allows enabled appliances (mostly Home) to respond to voice commands. Stop a movie or take it to the next episode by simply saying so. 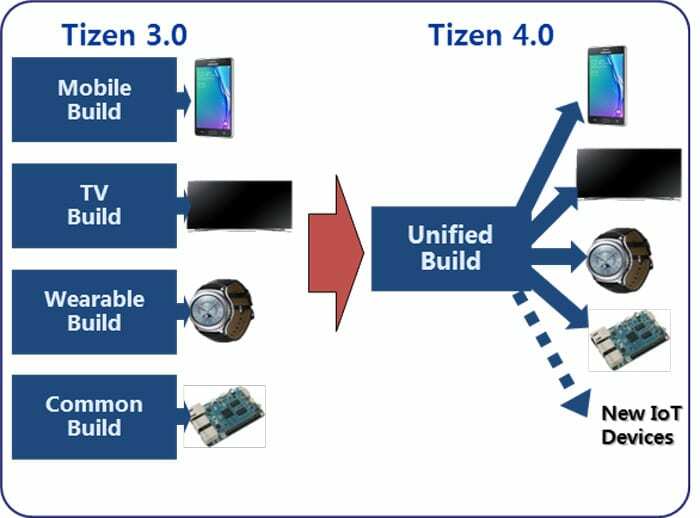 Tizen 4.0 – Designed to function with various sensors! Sensor Framework has been added to the new Tizen 4.0 so that different sensors can be used in installing apps and drivers without upgrading firmware. 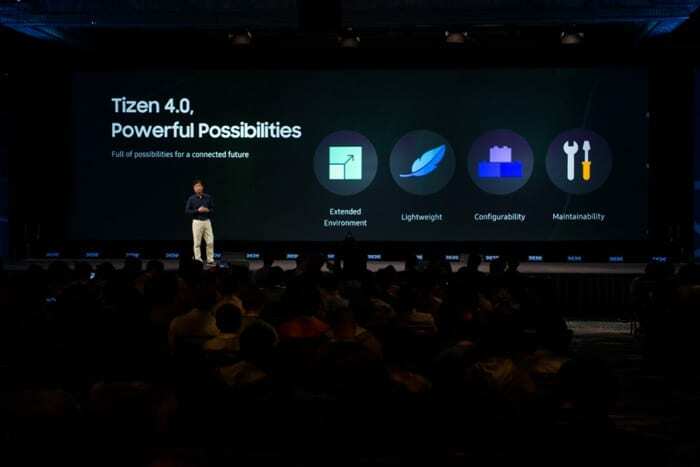 The first open source M1 of Tizen 4.0 platform was released this month and the second version (Tizen 4.0 M2) is expected in December this year.